1945 - Technological training at SIU had increased sufficiently to be considered integral in the College of Vocations and Professions. 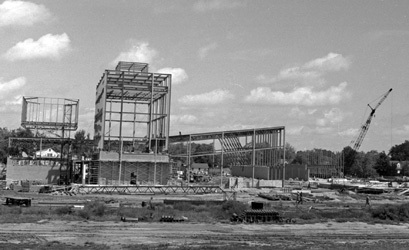 1955 - On July 1, 1955, the College of Business and Industry included Industrial Education as one of its departments. In 1956, Industrial Education attained independent status, responsible directly to the President. 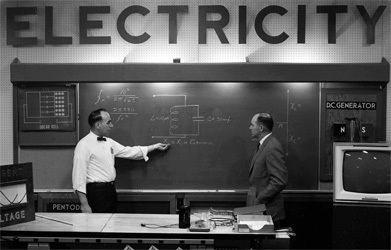 A bill defeated in the legislature in 1957 would have authorized the establishment of a School of Engineering, to include Industrial Education and Applied Science. 1959 - Applied Science and Industrial Education became the School of Applied Science after another attempt to establish an engineering school had been defeated. 1961 - The School of Applied Science was renamed the School of Technology on July 1, 1961, with Robert O. Gallington as acting dean. Julian H. Lauchner, was appointed the first official dean, effective September 1, 1962. The areas of concentration included applied science, engineering technology, industrial education, and industrial technology. Because the School of Technology started offering a specific program of courses leading to the Bachelor of Science in Engineering in 196l, that year is considered the birth year of engineering at Southern Illinois University. Tuition and fees were $61/quarter, and book-rental was a mere $5.00/ quarter, for all books required. Classes were all over campus, including makeshift classrooms in a building that also housed the campus laundry and small living rooms of former houses for the military. 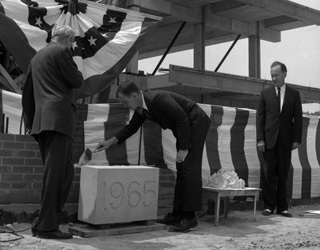 1965 - The date on the cornerstone of three connected buildings called the Technology Complex is June 1965. The complex was formally dedicated in May 1966 in a 6-day celebration attended by hundreds from areas including several adjacent states. In that same year, the first class graduated – 17 students. Many a professor at that time was a “pico” (professor in charge of an area of study). Some did not have engineering degrees. 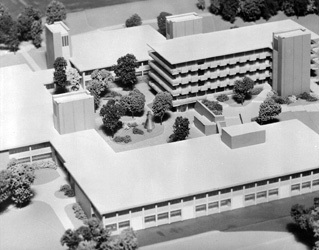 1970 - The School of Technology became the School of Engineering and Technology, with five distinct departments: Electrical Sciences and Systems Engineering, Engineering Mechanics and Materials, Occupational Education (formerly Technical and Industrial Education), Technology (Industrial Technology and Engineering Technology), and Thermal and Environmental Engineering. 1973 - Occupational Education transferred to the College of Education in January 1973. 1975 - In June 1975, the Board of Trustees authorized the establishment of a program leading to a Master of Science in Mining Engineering. 1977 - Enrollment in the School of Engineering and Technology had increased to almost 1200, which was more than the official capacity of the three buildings in the complex. 1978 - The School of Engineering and Technology became the College of Engineering and Technology. 1979 - The Board of Trustees approved changing the title of the School of Engineering and Technology to the College of Engineering and Technology and established the Department of Mining Engineering. 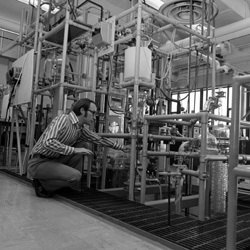 1980 - The Materials Technology Center and the Minority Engineering Program began. The need for more space became critical. 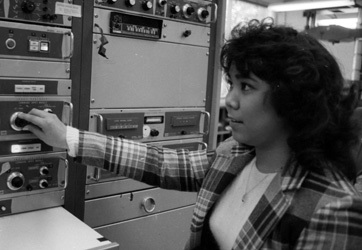 1985 - The College of Engineering and Technology won approval to start a doctoral program in engineering science. 1992 - The College of Engineering and Technology became the College of Engineering. All departments and units remained in place (Engineering, Engineering Technology, Industrial Technology, Materials Technology Center, etc.). 1993 - A grant from the U.S. Department of Education helped start the College’s program for cooperative education, whereby students alternate work and study.